Hatherley Manor Spa is inspired by its Cotswold heritage and dedicated to natural wellbeing and creating a sense of peace and tranquillity. 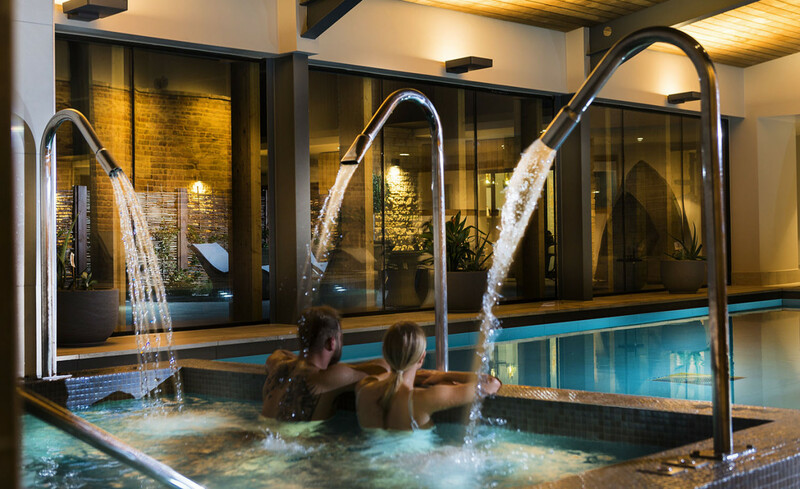 The spa features a swimming pool with relaxing garden views, a vitality pool, thermal suite with experience showers, ice fountain, sauna, steam room, tepidarium and heated loungers. There are six beautifully appointed treatment rooms with one being a couples suite. Relax and unwind after your treatment in the relaxation room. The seventeenth-century Hatherley Manor is an elegant hotel set in the Gloucestershire countryside. The 37 acres of grounds, with a walled garden and an orchard, create a peaceful atmosphere. Inside, oak-panelled walls and old-fashioned fireplaces feel homely and traditional. In contrast, the spa at Hatherley Manor is in a modern, purpose-built extension using natural materials such as local stone and wood. The white and bright reception area sets the tone, with the emphasis on clean lines and smooth surfaces, alongside shelves sparkling with retail products. Staff check you in with consultation forms and issue you with an access card that allows you into the gym and changing rooms. The changing rooms are small but clean. There is a bank of lockers, a curved bench for seating… and not much else. The vanity area is a little Spartan with two hairdryers, cotton pads and buds; there isn't anything in the way of lotions and potions although there are electrical sockets where you can plug in your own straighteners. Three large and beautifully tiled showers have Elemis hair and body wash, and conditioner, while two sinks have hand wash and hand lotion. The indoor 12 metre swimming pool has views over the walled garden and is the right temperature for swimming. The warmer vitality pool at one end is heated to 34-36 degrees and has a variety of air and water massage jets, including three swan pipes to nurture your neck and shoulders. In the small thermal area is a mosaic steam room and a wooden sauna which was not only nicely hot with twinkling lights in the ceiling but also has little windows with views onto the walled garden; both could seat around six. The cooler tepidarium allows deep relaxation in gentle heat and, on our visit, was a very sociable space. The two shiny mosaic tepidarium loungers in the centre of the space are very comfortable and sleep-inducing. The two lilac-hued experience showers offer three different experiences, with coloured lights and essential oils. We can reliably report that the "Polar Fog" delivers exactly what it says on the tin. 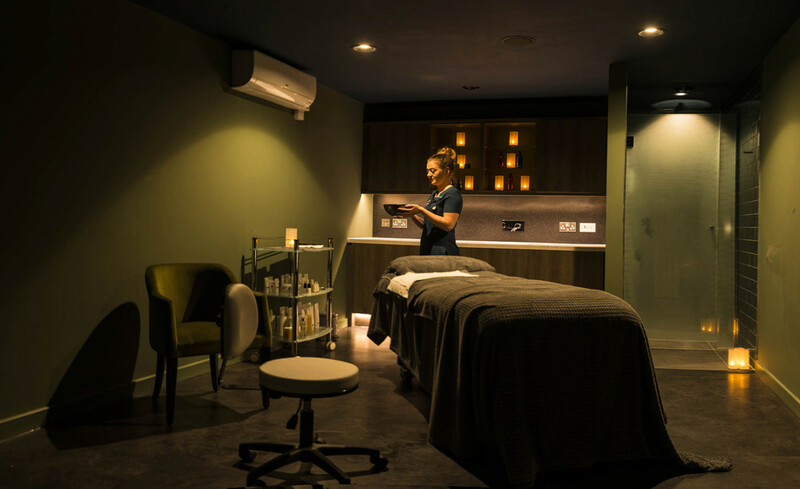 The six treatment rooms (including one for couples) are tucked away in a darker area behind a door and are nicely finished in natural tones. The post-treatment relaxation room has four single loungers and one double, and is dimly relaxing. There isn't a huge selection of magazines so you might like to bring your own book to snuggle down with. A small sideboard has jugs of water and, on our visit, some chamomile tea. You can also chill out in the spa garden; a joy on warmer days with a fire-pit promised for the colder ones. 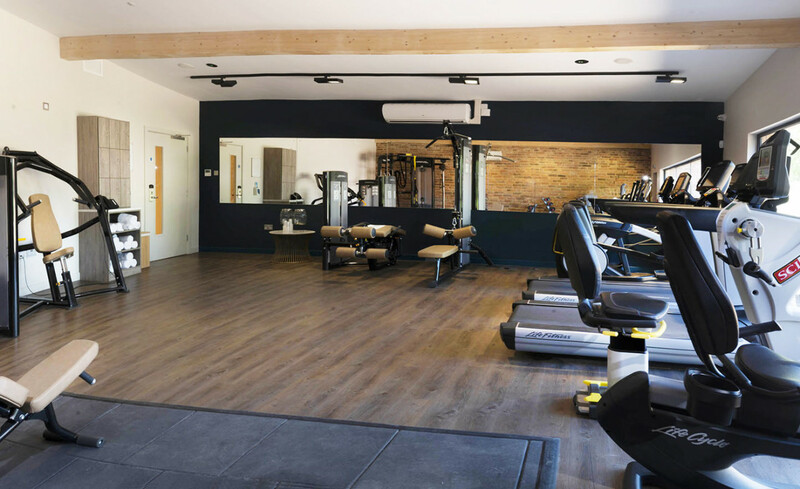 The gym has weights and cardio equipment with a window looking out onto the green gardens. We tried the Deeper than Deep hot stone massage (55 minutes, £80). My therapist, Kristen, met me by the spa reception desk and took me through into a spacious treatment room. I lay face down and she began by gently cleansing my feet with warm cloths, relaxing me with a little pressure on the reflexology points. She used hot Balinese stones with deliciously scented frangipani oil to massage my arms and the back of my legs-- this felt very soothing. She placed a stone in the palm of each of my hands and worked on my back, neck and shoulders, relaxing the muscles and getting deep into them to relieve tension. She tried her best to tackle my persistent knots and warned me that I might feel sore the next day. I turned over and Kristen placed a small stone on my forehead and treated me to more leg and arm massage. Highlights were the attention she paid to my hands, teasing the tension out of my fingers and palms, and also to my feet. Kristen did more work on my shoulders and décolletage, which was most welcome. The treatment also involved a facial cleanse using the pro-collagen rose and mimosa balm, and some fresh toner. While rose oil soaked into my skin, Kirsten carried out a scalp massage which was very tension-reducing. In all, this is a good treatment to have if you're after deep and utter relaxation. 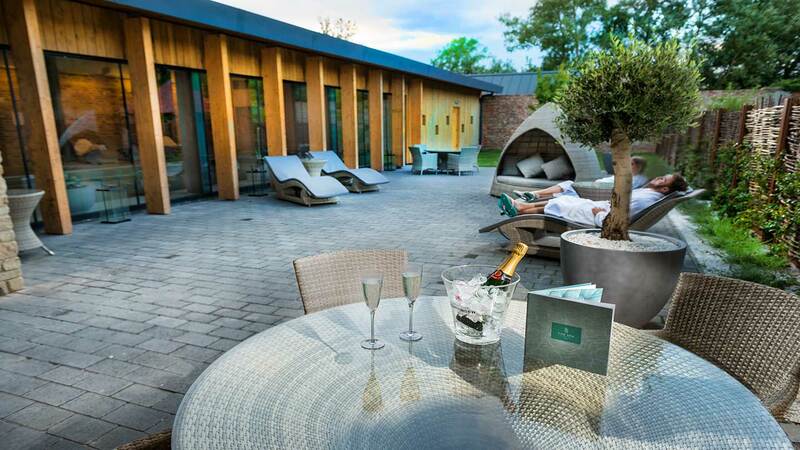 At the spa at Hatherley Manor, you can choose Elemis facials, massages, scrubs and wraps. The Made for Life Organics range offers well-being treatments designed to promote calm and relaxation, including therapies suitable for people with or recovering from cancer. The spa also has specific treatments for men and for mums-to-be. Finishing touches include manicures, pedicures, eye treatments and waxing. You can eat lunch in your robe in the spa café, where you can choose from a small but healthy menu with gluten-free, vegan and vegetarian options. My Greek salad was fresh and colourful (and beyond my ability to finish, such was the generous quantity). You can also take some time out to chill there with teas, coffees and treats. 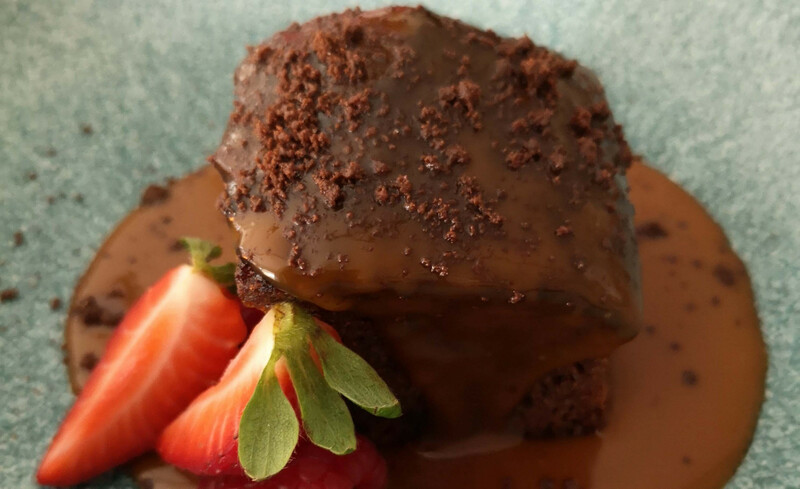 If your day at a spa isn't complete without some sticky-toffee pudding, you'll be happy at Hatherley Manor. For dinner, we went to the Dewinton Restaurant in the older part of the building, which has original exposed beams. 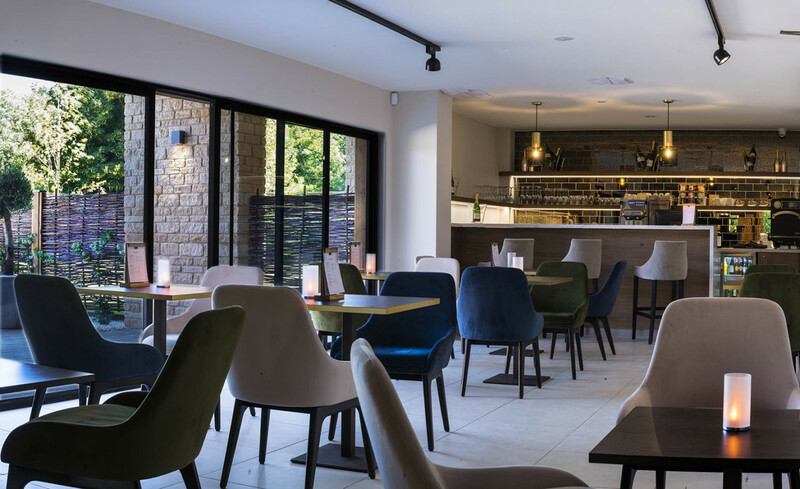 The food is modern British with an emphasis on fresh and seasonal ingredients; the restaurant's Stroud Valley beef, for example, comes from local farms. 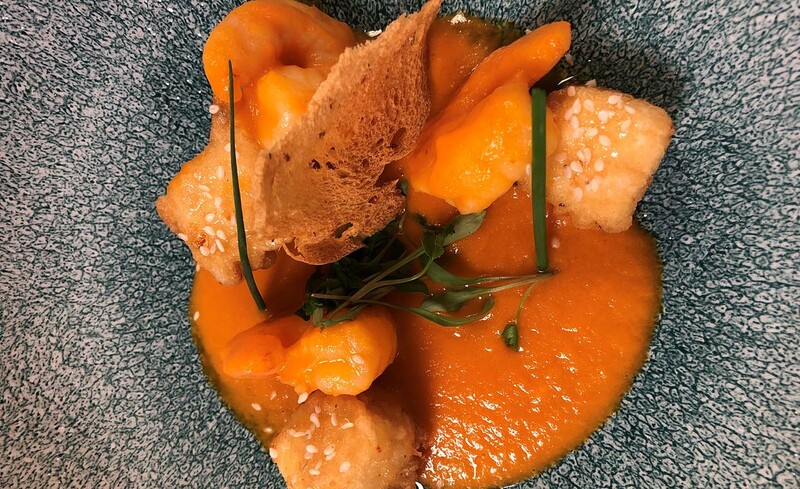 We thought our cured salmon starter and roast cod main course were both generous and delicious. The peaceful and gentle atmosphere of the spa: You feel like you can truly get away from the real world. 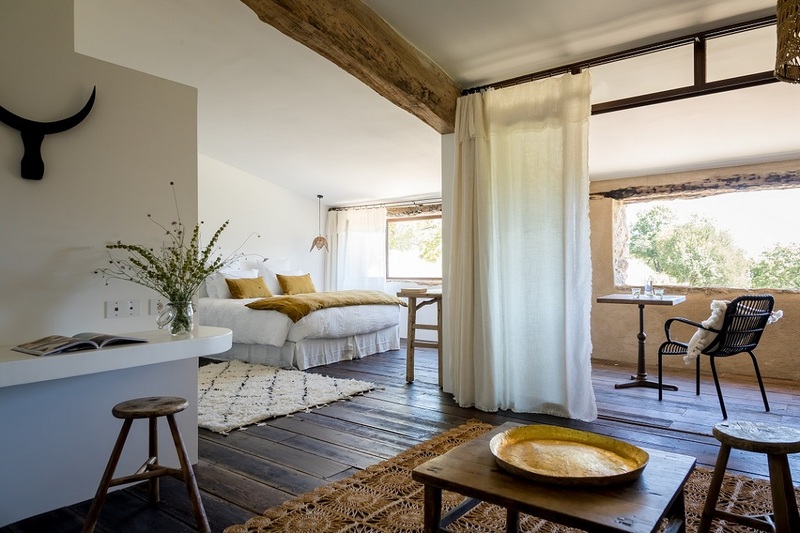 Our bedroom: The five new spa bedrooms overlook the walled garden and share a rooftop terrace for enjoying the late evening sun. Makes it very easy to drift downstairs to the spa in your robe. Some design and maintenance issues that are almost inevitable in a new spa; the steam room has puddles of cold water on the floor, for example, and the poolside feels very slippery. Anyone looking for peace: The thermal areas are for adults only, with children allowed in the pool only at restricted times of the day. Friends: The spa at Hatherley Manor is a comfortable and easy place to catch up. Locals: With a spa this lovely on your doorstep, why travel far? We awarded the spa at Hatherley Manor a Good Spa Guide Bubble Bubble Rating of 4 Bubbles for its excellent range of treatments, lovely food, dark relaxation area and friendly customer service. Once they sort out their teething problems, this new spa will be on your "must visit" list. 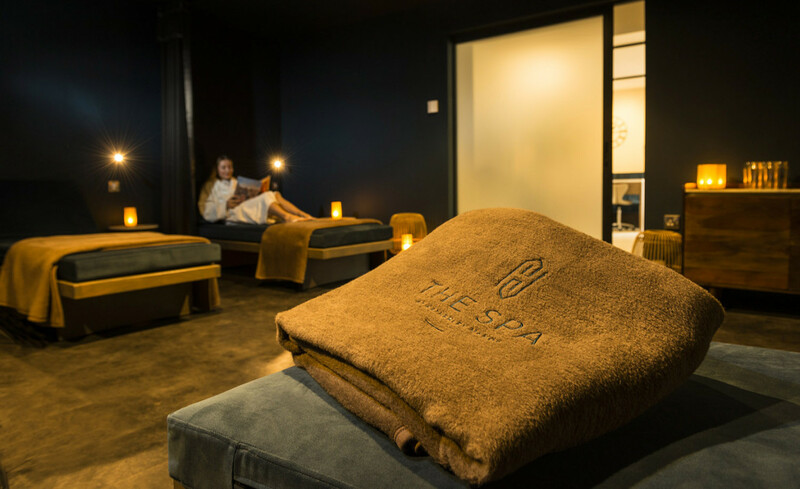 "I recently visited the spa with my friends on the Winter warmer package they have to offer for the festive season and we all had an amazing time. We were greeted by a warm welcome and happy faces which made our trip a good start. We all had the festive afternoon tea to start, which by god was absolutely delicious. There was a wide range of sandwiches, wraps, scones and sweet treats which hit my sweet tooth a delight! Next we moved onto our treatment which me and my friend opted to go in the 'couples' dual room and we both had a hot stone massage which was absolutely the best part of our day, I now feel 20 years younger again. I have already booked back in for the new year. " "I had a spa day last week for my 30th birthday, right from arrival we were well looked after by all the staff, we were greeted with a welcome drink and smiley faces. We booked the Spa Indulgence day package which included 3 treatments, my favourite treatment was definitely the ELEMIS pro collagen age defy facial which I needed especially turning thirty that day! After our treatments we used the spa facilities my particular favourite was the vitality pool which was like a jacuzzi with bubbles and water jets. I would love to see the spa grow into something amazing I think they should get a fire pit or a outside hot tub that would be amazing and would definitely add so much to the lovely garden area they have already. 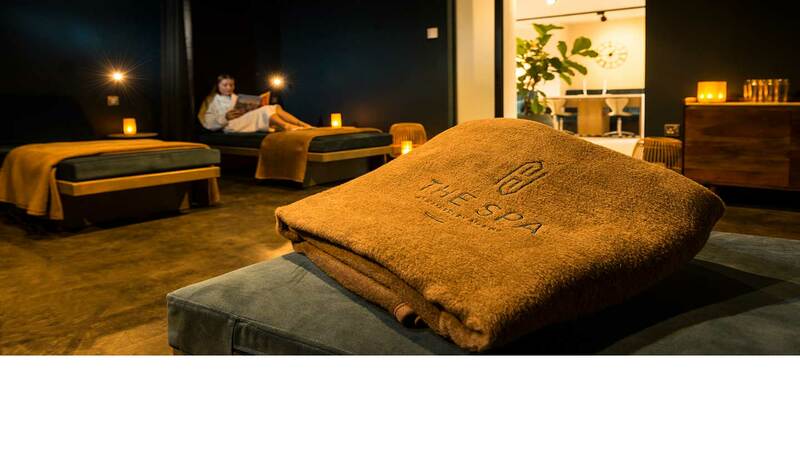 Overall the spa is fantastic I would rate it a 8/10, I loved the spa that much I will be returning before Christmas with my husband for the winter warmer package. " "AMAZING SPA!! Would definitely recommend to anyone looking for a spa day its a 10/10 for me!!" "Fabulous destination for a romantic break away. Me and my partner had a fantastic time and we were treated amazingly. Definitely thinking about booking another break away. " "Had a lovely day at this spa for my 50th Birthday.. A treat to myself. Staff were excellent... Exceptionally clean. Food was brilliant.. I can't wait to return as its on my doorstep! B"
Guest can enjoy delicious food in our Dewinton Restaurant which offers a modern English menu. The bar offers a range of fine wines, fresh speciality coffees and traditional afternoon teas which you don’t want to miss. Our superbly-appointed bedrooms and superior bedrooms have luxurious styling, with everything you need to make your stay go like a dream. 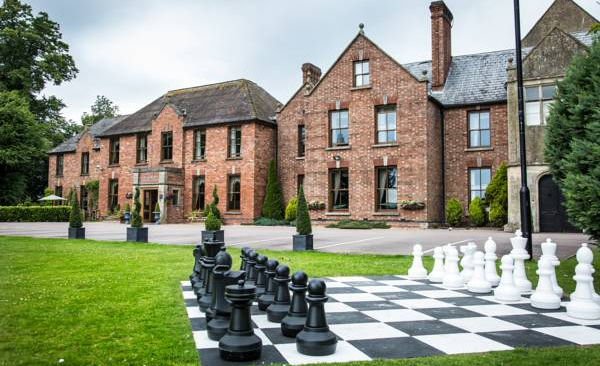 Many rooms overlook our stunning grounds, so you can enjoy your stay in the beautiful country side. Parking is available at the spa and extra parking at the hotel. The nearest train station is 3-4 miles away. Andy Cars taxis can be booked at reception. There is a pool hoist, accessible changing rooms and treatment room. All thermal areas including vitality pool are restricted to 18 yrs. Treatments are 16 yrs and over. Children over the age of 4 are welcome to use the swimming pool only between 9:00am-10:30am and 4:30pm-6:00pm. There is a £10.00 charge for each child.